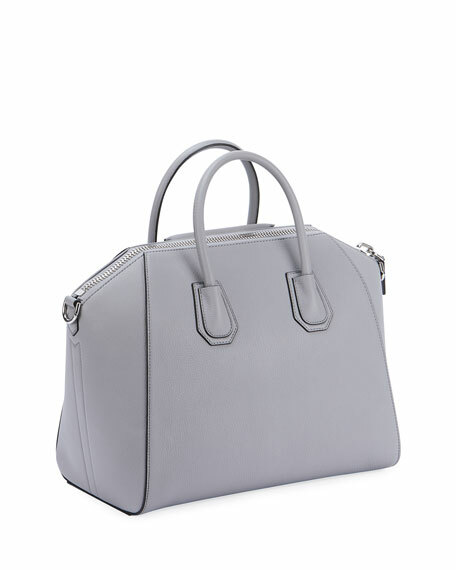 Givenchy bag in "Sugar" grained goatskin with shiny palladium hardware. 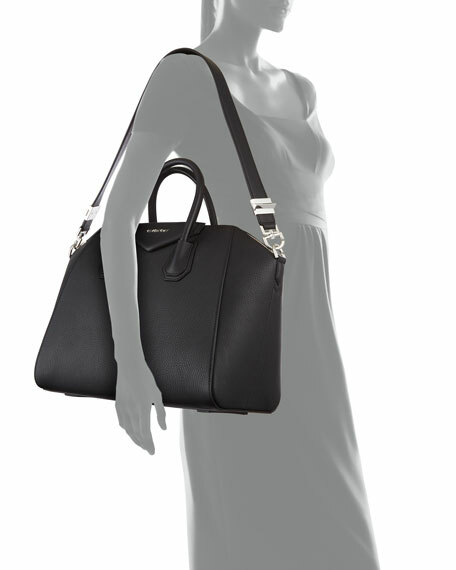 Removable shoulder strap, 11" drop. Interior, cotton twill lining; one zip and two slip pockets. 11"H x 13"W x 7"D; weighs 2 lb. 14.3 oz. 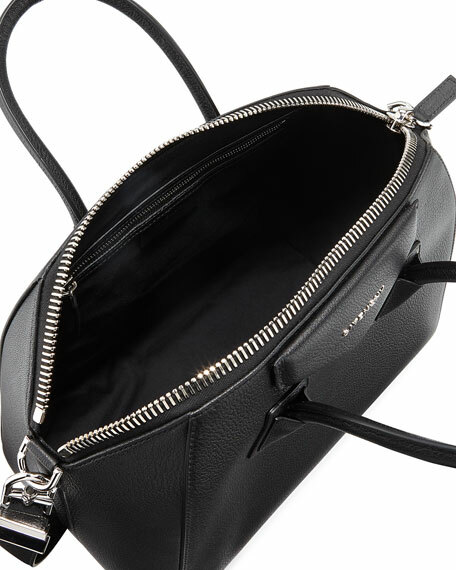 Givenchy satchel bag in colorblock goatskin leather. Chain shoulder strap with logo disc. Removable crossbody strap. Flap top with logo-engraved flip-lock closure. Exterior, zip-around and slip pockets at front. Interior features multiple compartments. 5.5"H x 8.3"W x 2.8"D. Made in Italy.